In a world with no sun, will we ever see the light? Few people remember the light that used to burn in the sky. You were told it was beautiful when, after the night was gone, the sun would rise in all its beauty, filling the sky with orange and red streaks radiating light. But most will never see that light. Nowadays, everyone lives in an enormous underground city, full of poverty, injustice and oppression by the cruel, self-centred leader, and most of all - darkness. No one is allowed outside. Ever. 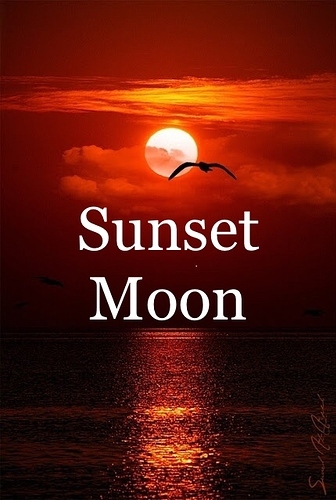 The city is named Sunset Moon. But there are some who have not simply accepted the darkness. Some believe the surface can and will be reinhabited. You must sell the items you spawn in with to trade with the trade portal and other players. The city may seem inescapable but there are a few back exits you can use to escape. Good luck, and may you reach the surface safely. Once on the surface, you can make colonies but remember, the city guards (mods) will always be after you. Build in secret and make allies with other escapees. Most of all, you will see the sunrise. 1. No griefing, hacking, or duping. 2. Make your own workbenches. 3. Don’t ask everyone to sleep. 4. Don’t share items until you reach the surface. 5. No teams until you reach the surface. 6. Don’t ask for admin or mod. You must escape to earn either. 7. You have your own compartment to live in, don’t enter anyone else’s. When you join for the first time, go down until you find the compartment with your name. 8. If you find a secret exit, DO NOT SHARE IT WITH ANYONE, in game or on the forums. If you must, say ‘I found an exit’ and nothing else. 9. PVP is allowed but no pausing. Sunset Moon has now been opened. Come on and play! This sounds very cool! Can’t wait to see it. I’m not on anymore but the task is to dig down to line the tunnel with carbon fiber. Great! I’m more than happy to help, my IGN is Cubic_Dog. Adding to pm and whitelisting! Don’t ask for admin or mod. You must escape to earn either. Once on the surface, you can make colonies but remember, the city guards (mods) will always be after you. What I mean is that there will be a few mods to be guards, but in order to be a guard, you must have escaped the city, otherwise people won’t put any effort into escaping. How would I insert this into the welcome message? L o v e l y !!! Here it is with the slogan. Looks like a book cover or something.